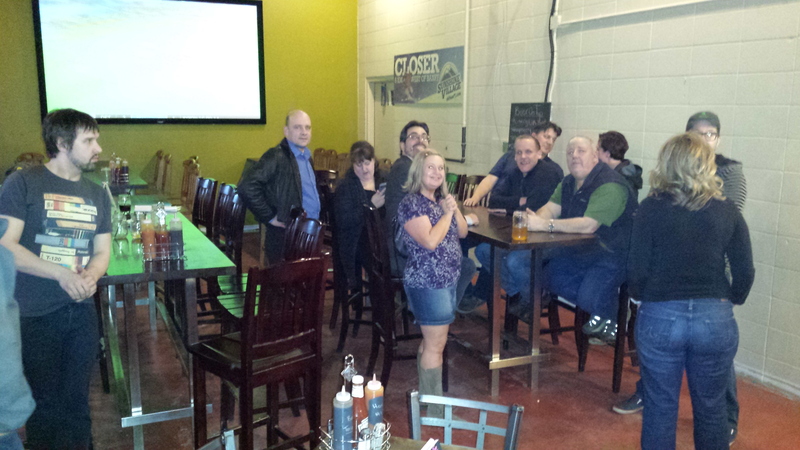 So tonight I attended yet another Poliwings event at The Beer Factory in St. Albert. The food was great, the company was great and the conversation was great. What can I say, it was a great night, even though my wife couldn’t make it. I have to say that this was a much different meeting than most and almost a polar opposite than last month. I get to meet people who have differing opinions than I do on topics and try to see if their opinions can modify my beliefs and opinions. Tonight, I did get the opportunity to discuss a few topics (after learning more about municipal politics and talking about my thoughts on the current redact-gate issues) but even after discussing Ezra Levant, Black Lives Matter, Donald Trump and the new Canadian Budget, I got to spend some time with Trevor discussing other topics for over an hour. This discussion was less convincing him that my opinions were better then his and trying to understand his positions and more of just talking to someone who seemed to get where I was coming from all night. We tended to agree on most everything, even if there was a little compromise here and there. That felt kinda weird. but it was also kinda cool. Maybe pushing people’s buttons to incite some reaction needs to be tempered with just chatting with like-minded individuals who are aware of the corruption in our government and media. I usually only have a few people I can talk to about everything that the sheep feel differently about. The conversations tonight did teach me one thing… that I am not completing enough blog posts… and this brief opinion post is not going to help me on that front either. Believe it or not, even though I left at 11:45pm tonight, there were still a dozen people at the meeting when I left the bar… Great meeting … had a great time… looking forward to seeing you all again next month!